Blue Moon Publishers partners with Brunswick Books! 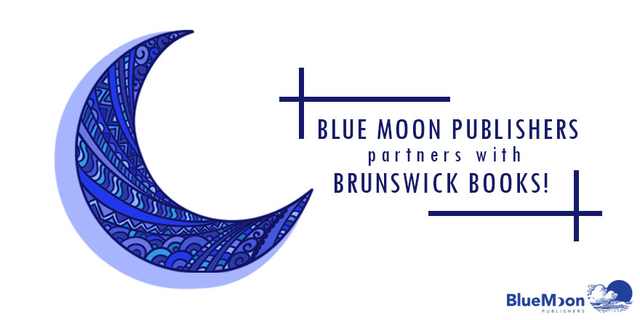 We’re thrilled to announce our partnership with Brunswick Books, the team who will now be handling all of Blue Moon Publishers’ Canadian distribution and sales. This June and July, the sales team will travel across Canada, introducing our new titles to Canadian bookstore owners and buyers. All customer service, distribution, and billing will also be handled by Brunswick Books. Brunswick Books has represented progressive and small independent publishers for over 35 years, and we trust their expertise will help our books achieve a deeper reach into the Canadian book market. What struck us most about working with Brunswick Books was their mandate: “Our mandate is to provide progressive books from progressive publishers to progressive people.” We could not agree more with this objective, and are proud to share in it wholeheartedly! Founded in 1978 under the original name, Fernwood Books, Brunswick Books is a national book marketing and sales company for Canadian universities and colleges. Over time the company has evolved – our mandate is to provide progressive books from progressive publishers to progressive people. In 1992 we began distributing books for the Canadian market and, in doing so, enhanced the services offered to our client publishers. Today Brunswick Books offers a complete range of services that accommodate all of a publisher’s sales and distribution needs.